Where Do You Need Roofing? The roof of your home is integral in maintaining the structure of the building. 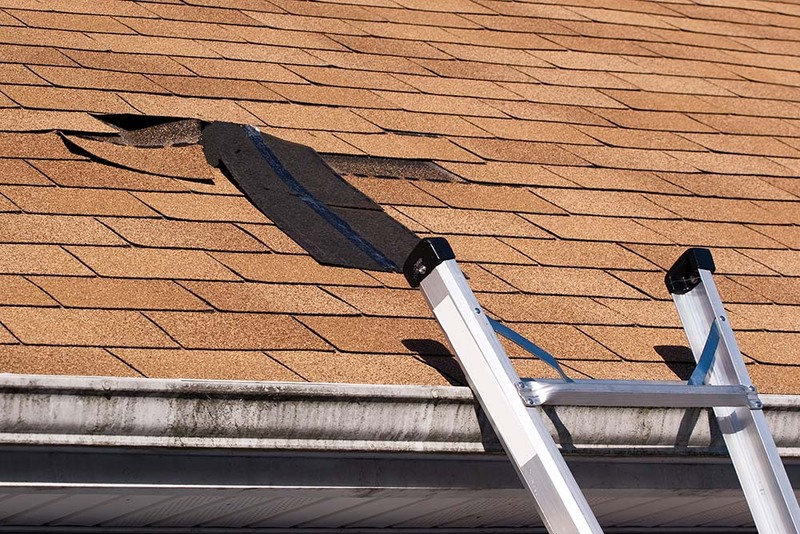 If there is a small leak or noticeable damage, it may be necessary for roof repair. If there is a larger amount of damage, or you are looking to change the exterior of your home dramatically, roof replacement may be necessary. Before embarking on either of these projects, you want to be sure that you are not doing more work than necessary, and that quality work is performed on your home. If you aren't sure whether you should just repair your roof or replace the whole thing, contact a reputable roofing professional. Aptera works with roof pros who have the experience and knowledge to answer any questions you may have as well as inform you on whether a partial roof repair might be more beneficial or whether replacing your entire roof might be more cost-effective in the long run. Repairing A Roof: If your home has a small leak or there was damage done to the roof due to falling tree branches or other debris from a recent storm, it may be best to just repair that area of the roof. This is especially ideal if the rest of the roof is in good condition. Most roofs have a life expectancy of 30-50 years, depending on the type of materials used. If your roof was recently replaced or still has over 15 years left, you may be able to just repair instead of replace. Replacing A Roof: If your roof has experienced severe damages, has gaping holes or has multiple shingles or roofing material that is falling off, it will be best to replace the entire roof. While this can be quite costly, depending on materials that are used, it can preserve the life of your home for over 50 years. Older homes may be more susceptible to requiring full roof replacement as normal wear and tear alongside weather elements can cause damage over the years. While is it possible to repair or replace a roof on your own, there are many benefits to hiring a roof specialists vs. doing it yourself. Below are a few pros and cons to hiring a roof professional vs. doing a roof repair or replacement on your own. If you had your roof repaired or replaced recently, there may still be a warranty associated with the work that was done. Many established contractors offer a craftsmanship warranty when they do roof replacement to supplement a manufactures warranty on materials. Roof repair or replacement might have little to no cost for a homeowner if the roof was installed properly. This option makes the decision of doing any work on your roof an easy one. Many homeowners choose to install their own roof or hire a handyman to do the work. While this can initially be a cost effective roof repair, it may become problematic in the future. Many manufacturers require that a licensed roofing contractor with particular equipment install their materials, or the warranties on the materials may be voided. If your roof is damaged due to weather, you might also have trouble obtaining reimbursement from your insurance company if you are unable to prove that the damage was not due to faulty installation. This does not mean that you shouldn't repair your roof at all; postponing roof repairs could cause extensive damage to the structure of your home. Be sure you remember all the costs that could be associated with an initially low-cost roof repair. If you are thinking about starting roof repair work on your own home, be careful to not take on too big of a project. 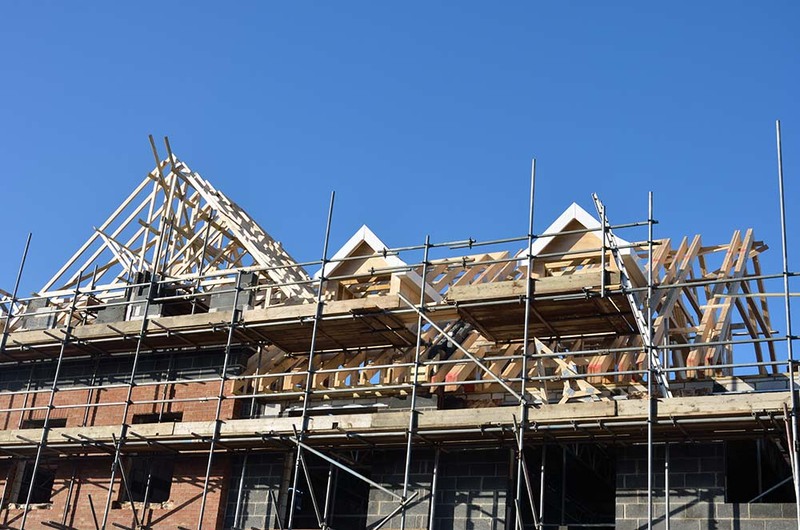 As you begin your repair work, you may discover the framing supporting your roof is damaged or rotting. Or you may find unexpected layers of roofing under the exterior visible roof. These invisible complications can turn a simple project into a big problem if a homeowner with no roofing experience takes them on. Avoid this by having a contractor assess your project as part of their estimate. A trained professional will be better equipped to determine the extent of work needed on your home. If you are hiring a contractor to do the work, it is best to interview at least three different companies, even if you already have an idea about which company you prefer. By interviewing multiple companies you may find a business that will suit your needs better than you expected. You might also learn information about the repair work that you were previously unaware of. Ask each company the same questions, so you can make a fair comparison between their answers. The following three questions should be asked of any contractor who is making repairs on your home. Asking a few simple questions about how long the business has been established can help a homeowner determine a lot about a contractor. A well-established company will be more stable and reliable. Warranties are more likely to be honored in the future, and they will have a broader portfolio of references for you to consider, so you can see how their craftsmanship withstands time. Occasionally startups and younger contractors offer a better price. If you are considering hiring a new company, it is especially important to obtain multiple references. Also ask about insurance, as the reduced price could mean the contractor has little or no coverage for roof repair. What type of insurance does the company carry? Insurance premiums can be expensive for smaller businesses. Following safety guidelines can increase overhead costs, which can become unmanageable for a company with only a few people. Hiring a contractor without insurance may be affordable, but it can also be risky. Most roofing companies will have both comprehensive liability insurance and workers' compensation insurance for all their employees. 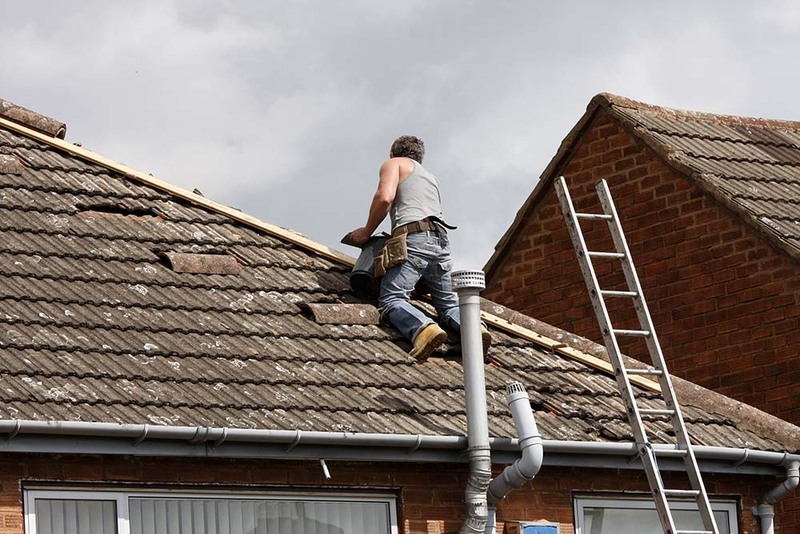 While this can be more costly initially, it will save homeowners a considerable amount of stress and financial burden if there is an accident during roof replacement. If you have hired a company that uses subcontractors, request to see evidence of the subcontractor's insurance as well. Do they have employees or subcontractors? It is important before beginning a renovation project to be sure about who is ultimately responsible for the satisfactory completion of the work. This question impacts whose insurance protects workers in the case of an accident and what type of craftsmanship warranties are offered. By knowing whether a contractor uses employees or subcontractors, you will know who is accountable for the people working on your home and the work done by them. 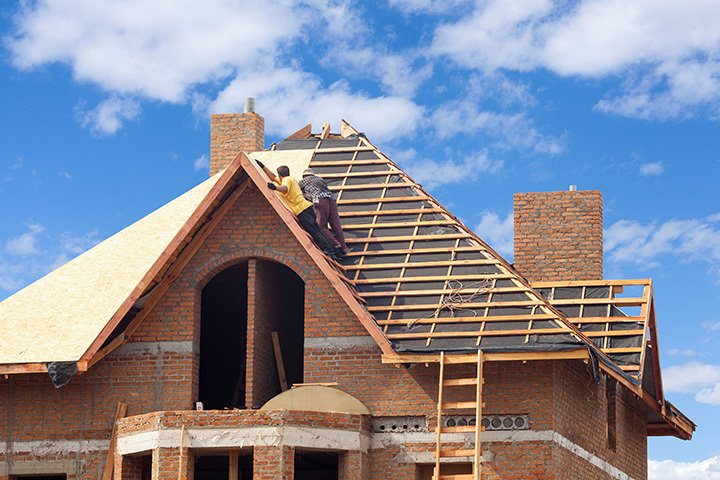 When hiring a roofing contractor for any repairs or roof replacement, be sure there is a detailed written contract, outlining the work to be done, the materials that will be used to complete the work, a payment schedule, a schedule for the completion of the project and what course of action will be taken if the work is not satisfactory. If your winter weather was particularly harsh, your roof is beginning to show it's age or you're looking to upgrade to a greener or more stylish roof, there are things to consider before taking on a roof repair or replacement project. Whatever your reasons hiring a roofing contractor, knowing why you are doing the work and asking the same questions of every contractor will help insure the best work possible is done on your home. Aptera makes it easy for you to get in contact with multiple roof repair professionals; our simple to use quote tool allows you to put in your information one time and once it has been submitted, a professional will contact you to provide you with cost estimates depending on the type of work you are looking for. Once you have decided whether you are going to replace or repair your roof, Aptera is here to provide you with qualified roofing professionals that are local to you. Our partners have the experience and knowledge to handle any type of roofing job and are ready to provide you with exceptional work at a price you can afford.